By starting with a real solution for a real customer problem, you can be well on your way to IoT success. I’m a believer in the Internet of Things (IoT) as the driver of transformational change across industries. In fact, I just wrote a book about it. 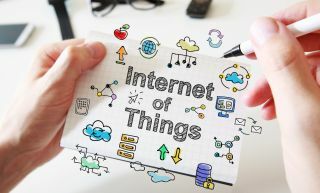 But that doesn’t mean every IoT deployment is going to be transformational—or even moderately successful. Successful IoT deployments do have at least one thing in common, however—they focus on solving the customer’s real business problems. This third ingredient in my Recipe for IoT Success may seem obvious to you. Of course you focus on real problems! But you may be surprised at how often these efforts wander off track because someone is chasing a shiny new technology instead of starting with the customer—and the customer’s problems—at the center. I have seen a lot of technology companies (especially startups) taking the technology-out approach—building yet another IoT platform or a real-time fog engine. But the successful ones take their horizontal technology and focus it on one customer segment and one customer business problem. They know that IoT is not one market, it is a collection of huge markets and even one use case in a specific segment can represent a multi-billion dollar total addressable market (TAM) opportunity. Let's face it, there will be very few horizontal IoT platforms but zillions of vertical solutions based on horizontal capabilities. Consider the transportation market—a segment rich with IoT possibilities. These opportunities are driven by the convergence of traditional technology and transportation industries, which is redefining business structures and value propositions across both industries. Today, IoT solutions such as predictive maintenance are helping transportation companies minimise equipment downtime and reduce maintenance costs. Implementing a predictive maintenance solution for a city bus system would be an example of the solution focused on real customer needs in a specific segment, yielding immediate benefits. In fact, predictive maintenance is one of the four fast-paths to IoT payback that I have identified to help you get started on the road to IoT success. Once you conquered this market segment and this use case, you can then easily move to address the same use case in an adjacent market, such as delivery vehicles or mining trucks. And then maybe, just maybe, you will have a shot at the IoT platform status. There is another aspect of focusing on real customer problems that you need to consider: How do you distinguish a “science project” from a real, production-ready deployment? Here is a hard lesson learned by a team of contractors that failed to connect all the dots to make sure a project was “real”: They spent two years working on an initiative for an oil and gas company to install a Wi-Fi network in an existing refinery. The team overcame numerous obstacles, including obtaining permission to access the hazardous site, making Wi-Fi work reliably surrounded by metal structures, and integrating this new network with existing technologies. But the one thing they failed to ensure was whether or not the business units—the actual customers—had approved the project. They had not, and in the end, they chose not to take it live—a tremendous waste of time and money. While there may have been many internal communication problems to blame for this situation, here are the key takeaways: 1) make sure that you are dealing with business decision makers with budget or the ability create budget; and 2) break down silos of all kinds—including the all-too-common disconnects among IT, operational technology, and the lines of business. By starting with a real solution for a real customer problem, and by ensuring that your project is ready for production, with buy-in from all stakeholders, you can be well on your way to IoT success. Strategic innovation in the digital age is powered by people connected to the Internet of Things (IoT). Maciej Kranz has written a definitive guide on how to implement and capture the unprecedented value of IoT. The first of its kind, Building the Internet of Things,” gets past the hype to guide organisations across industries through the IoT journey.